Revival of True India: Devi/shakti lives in lemon? It is said devi/energy/shakti lives in lemon. Lemon is associated with Mother Divine whose job is to destroy rakshasas. Lemon sustains life and destroys enemies, that is, harmful toxins, viruses, bacteria in our body. Lemon juice has more benefits that you'd ever imagine. Lemons have five per cent of citric acid, which gives it its unique taste. Rich in vitamin C, it also has vitamin B, calcium, phosphorus, magnesium, proteins and carbohydrates. - Suffer from indigestion? 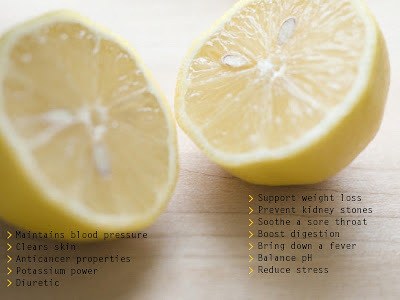 Mix a few drops of lemon juice with warm water and sip on it. This is useful for treating nausea, heartburn, diarrhoea, bloating and burping. - Since lemon is a natural antiseptic, it is great to cure skin problems. It clears your skin and also acts as an anti-ageing agent by eliminating wrinkles and blackheads. - Have a toothache? Apply fresh lemon juice where it hurts. If you have bleeding gums, applying lemon juice can curb the bleeding and stop bad breath. - A sore throat can be cured by gargling with lemon juice and water regularly. - Nimbu paani is high in potassium, which controls high blood pressure, dizziness, nausea and reduces stress. It also cures respiratory disorders like breathing problems and asthma.